Three musical-instrument makers from Markneukirchen, Fuessen and Freiburg received the German Musical Instrument Prize this year in the categories bass clarinet and classical guitar. Awarded by the Ministry of Economics and Technology, this significant prize of honour is given in recognition of particularly high-quality products from German musical instrument makers. It has been presented since 1991 in two varying categories. In 2008 these were Bass Clarinet and Classical Guitar. 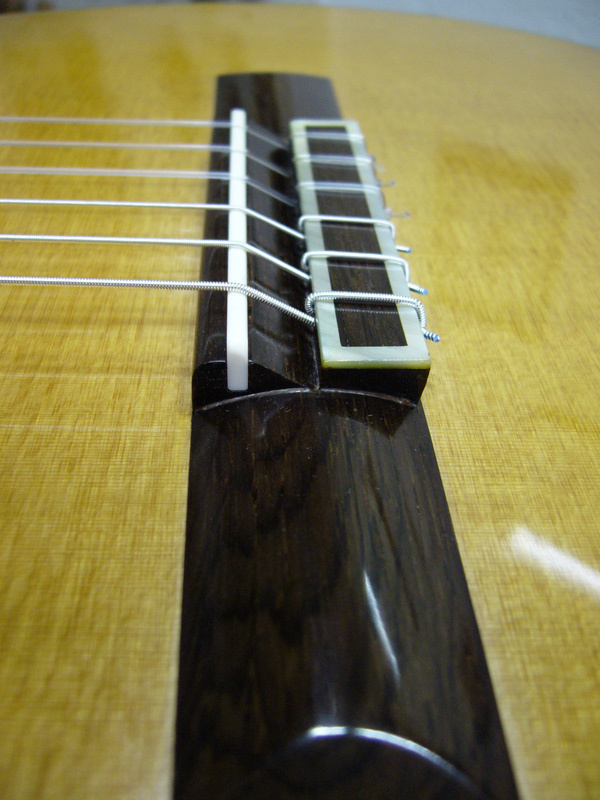 their acoustic characteristics are determined objectively, without player input. five renowned musicians assess the instruments subjectively by playing them. an expert assesses the instruments to gauge their craftsmanship. 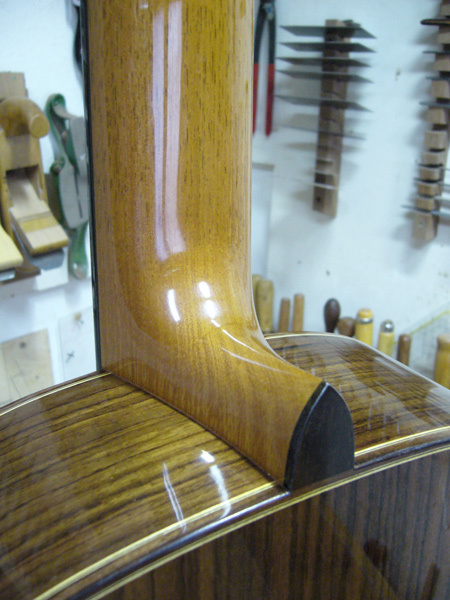 Two classical guitars, which achieved the same number of points in total, were considered the best in the field of classical guitar. Therefore the German Musical Instrument Prize 2008 in this category was equally awarded to Urs Langenbacher of Fuessen and Sascha Nowak of Freiburg. The presentation of the prize took place on 13. March at the Frankfurt Music Fair by the Director of Industrial Policy of the Ministry of Economy and Technology, Juergen Meyer. With regards to construction/ design and methodology my instruments are formatively influenced by the traditional handcraft of Southern Spain, especially the Granadinian „School„. Renowned representives of it are e.g. Antonio Marin, José Lopez Bellido or Antonio Raya. The aesthetics also lean towards this style. Historically it received strong influences from the Arabic ornamental art. Large parts of Spain were under Arabic / Moorish rule for many centuries. The most famous example for Arabic Achitecture in Spain is the Alhambra of Granada. This ornamental style is deliberately very plain, and only a few basic elements are repeated ingeniously and build up to a myriad of variations. Aside of such important criteria as response, dynamic range, balance, loudness, and projection, I set high value on the mouldability and plasticity of sound. By changing the kind of attack and technique, a wide colour spectrum should open to enable the musicians to vary their expression and artistic creation. 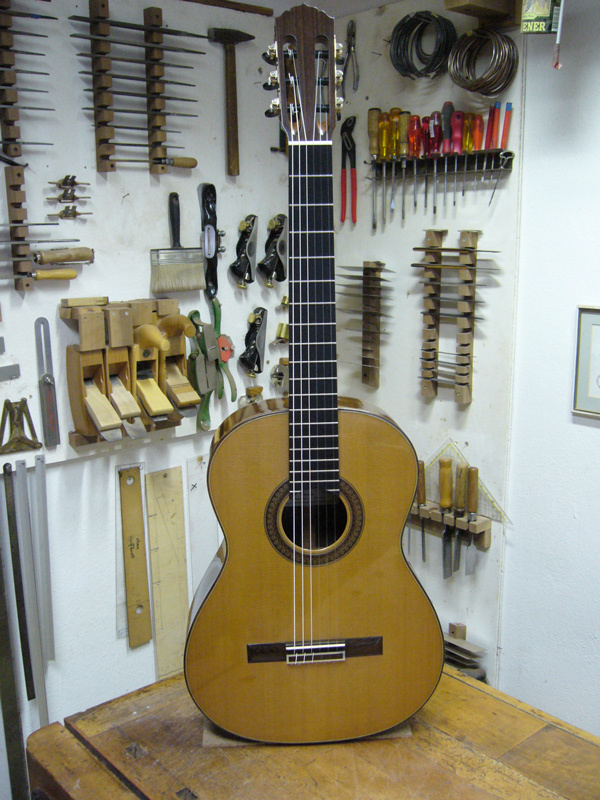 Sascha Nowak´s guitar received by far the highest acoustic rating in the physical-technical category. It was the sound favourite of the test musicians; they particularly praised the brilliant high range and excellent plasticity of sound exhibited by the instrument. 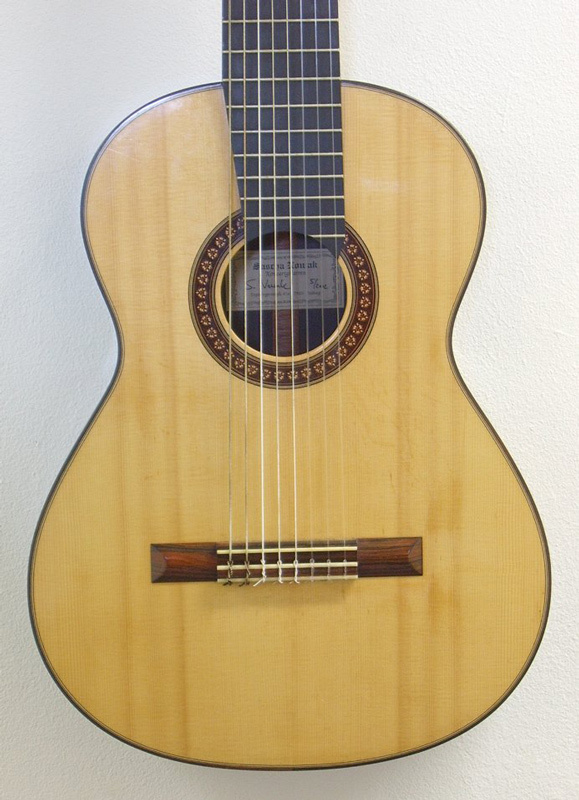 The jury described its Spanish-dry sound as very balanced, and they expressly praised its good price-performance ratio, as well as its ease of playing and „successful overall design“.